Top edge gilt refers to the practice of applying gold or a gold-like finish to the top of the text block (the edges the pages that are visible when looking directly down at the top of a closed book). This may be done using actual gold leaf, an alloy with other metals, a gold dust, or a synthetic material made to appear like gold leaf. This is done for obvious aesthetic reasons, but also for surprisingly practical reasons, as the gold finish serves to protect the edges of the book (with the top edge being clearly most vulnerable) from conditions such as moisture or dust. Gilt edges always appear on books where the textblock has been trimmed to create a smooth application surface and not on books with deckled edges. 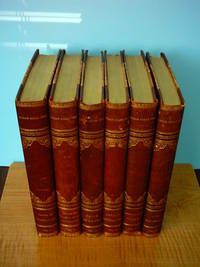 Care should be taken when handling books with gilt edges, as it is very easy to scratch, dent, or otherwise damage them. Top edge gilt may be commonly abbreviated as TEG or T.E.G. All edge gilt (AEG, commonly) refers to this same practice applied to all three edges of a book.